DESCRIPTION: This is a fascinating book about a fascinating subject. First Viscount Stansgate was to become the head of a political dynasty that has been most famous for his son, who renounced the title to enable him to remain as an MP, Tony Benn. Quite why William Wedgwood Benn has received little recognition is one of life’s mysteries, but the author has done a good job of correcting this omission. Fascinating. The so-called Left Wing of British politics can be very confusing, but the confusion also spreads across the political spectrum. The Liberals were the original Political Party, fathers of a new form of democracy that was to grow in Great Britain along with the country and the Empire. The Liberal Party was originally known as the Country Party and represented the great land owners and families of wealth. The second Party to become established, and to enable a two-Party system of Government, was known as the Court Party and became the Conservative Party, or Tory Party. Neither Party was particularly interested in the labouring classes, or for that matter the developing Middle Class. Both Parties included land owners and merchants, nobility and Clergy. The real left-wing was developing with the workers who had been sucked into the urban areas to man the factories and industries of the Industrial Revolution. They were often cruelly exploited, most often by people from similar backgrounds who had seized the opportunities of industrialization and who thought that they should spend their new wealth on aping what they thought was the life style of the nobility. Many of the leaders of the Labour Party have been the sons of privilege. They have been vocal against the hereditary principle, but ironically have been keen to promote their own, hereditary, political dynasties. 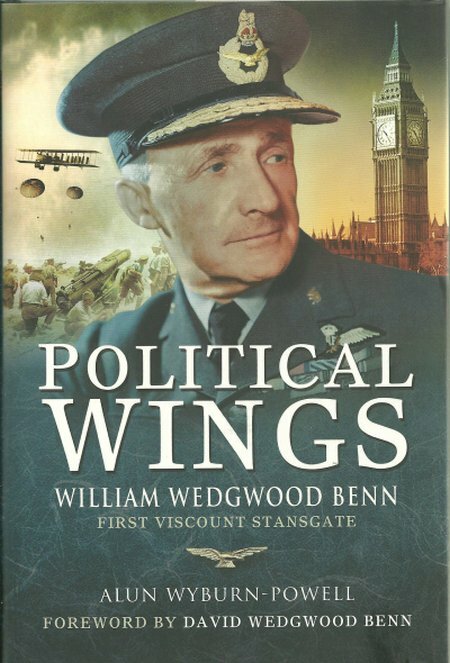 P&S readers who have strong military history interests will find this a very interesting book for the military experiences of Viscount Stansgate. Those interested in politics will find it one of the most fascinating books about a political figure. Those who have neither interests will still find this a very interesting biography and an illumination of some of the mysteries of left-wing politics in Britain.